Shepherdbase - Church Membership Database provides churches with a simple and easy solution to track church membership information, contribution records, church attendance and much more with unlimited memberships! Small to medium-sized churches often has volunteers who maintains the church records. These volunteers need a database that is simple, inexpensive and user friendly. The Pastor calls you one hour before church service and tells you church has been cancelled due to bad weather. You can't find your notebook with the church member's contact numbers. What do you do? Shepherdbase can generate a report of member's contact numbers with the click of a button. The Pastor's wife has asked you for a list of birthdays and anniversaries for a newsletter she is putting together for tomorrow's service. What do you do? Shepherdbase can generate a report of member's birthdays and anniversaries with the click of a button. The Pastor calls you and needs a report of every member who missed church last Sunday. What do you do? Shepherdbase can generate a report of every member's attendance with the click of a button. Do you have Access 2007 or higher version (2010, 2013 or 2016) in the Microsoft Office you purchased for your PC? Microsoft Office Access and Word 2007 or higher version and Adobe Reader is all that is required to fully enjoy all of the benefits of Shepherdbase - Church Membership Database. Don't have it? You can purchase the software from any office supply store or better yet, you can buy a package deal from from eBay for a great low price.If you need the entire MS Office package (not just Access) then look for MS Office Professional because it includes every program you need and lots more. MS Office is any secretary's best friend - Great Programs! Database that is simple and easy to use. Tracks membership information (name, address, phone, email, date of birth, anniversaries, etc.). Also, pictures of the members on the member's form to help put a face with the name. Tracks membership types (active, inactive) and groups (member, president, secretary, board member, etc.) and even member's events. Tracks member's Church Attendance with access to attendance reports. Tracks contributions by fund (general, building fund) and envelope numbers and will generate weekly contribution reports. Tracks individual and family contributions and prints reports by date range or member's name, also prints Itemized Member Contribution Statements. Merges member's contributions into an Annual Contribution Letter. Merges new members into a "First Time Visitor Letter". Prints membership directory (name, phone, etc.) and will also print member and/or family reports including mailing labels. 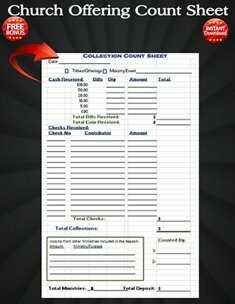 **Bonuses: Offering Count Sheet, Monthly Auto-Calendars & Offering Envelope Templates (below). Just click link below, download and print to show your Pastor(s) or church exactly what Shepherdbase will do! Click here for more Shepherdbase Screenshots in PDF. I do the tithes at the end of the year for a very small outreach in the city of Detroit. They had been paying thousands of dollars every several years trying to keep a database of their donors. 1. You will receive the Offering Count Sheet in PDF and MS Excel format to use in your church office to count tithes and offerings. Thank you for providing the program at such a reasonable cost. It is very helpful for small fellowships. I have wanted to try to create an Access program for our tithes, but had not had the time to teach myself Access. Finding your program was truly a God-Sent. – Lori – TN - U.S.
2. 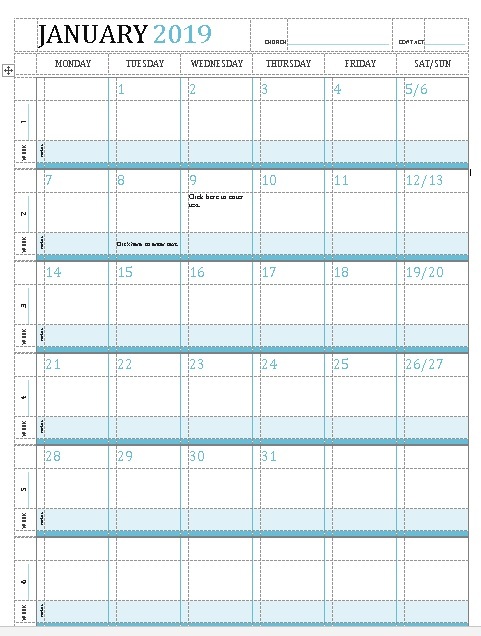 I included Church Auto-Monthly Calendars in Microsoft Word 2010 version and a 2013/2016 version that you can simply click a button and your calendar will change to whatever month and year you choose. You will enjoy this bonus to easily be able to put out the church calendar in minutes. 3. 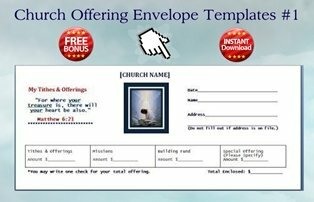 As a Bonus and Thank You for purchasing Shepherdbase, you will receive 2 very beautiful Offering Envelope Templates (1 for long envelopes and 1 for short envelopes - picture below) that you can download, place your church name and print on your home or office printer for your church tithing. All you need is Microsoft Office Word 2007 or higher version program, buy your blank envelopes and print - very easy! If you would like to purchase the Offering Envelope Templates and not purchase Shepherdbase you can do so by going to the Offering Envelope Templates page. 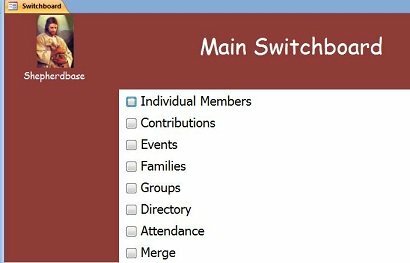 Or you can purchase Shepherdbase - Church Membership Database below and get the Offering Envelope Templates FREE! Thanks again for making this type of information and program (Shepherdbase) available at such an affordable price. It's truly a God send. Felicia - New York City - U.S.
Just wanted to let you know that I got everything on time. I have been the clerk at my church going on 2 years now, and have been elected into that position giving me a third year this up coming year. Being a small church, there was little work in my office as the clerk when I first took the position two years ago, and much work to be done getting things organized. As God has allowed us to grow, I have realized the importance of expanding our resources for organization. Everything in the package I purchased is very useful! I am very pleased with the templates, and Shepherdbase, as well is my pastor and even the treasurer. Thank you so very much! 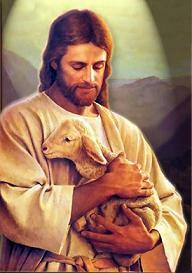 God bless you and your work! 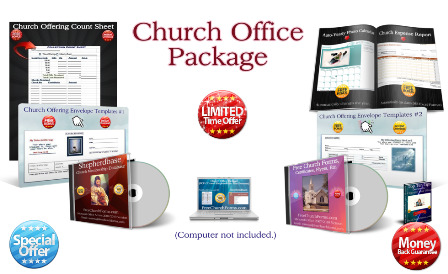 Jeremy - SC- U.S.
Shepherdbase (Church Membership Database) is On Sale Right Now through April 30th, 2019 By High Demand for ONLY $29.99 + Bonuses (Offering Envelope Templates, Church Auto-Monthly Calendars & Offering Count Sheets)...Hurry and Enjoy These Savings and Benefits! - CD Mailed - $29.99 + Shipping & Handling ($9.00 ships anywhere in the United States within 3-5 business days) + Sales Tax (Oklahoma Residents Only) If you live outside the United States and want to purchase Shepherdbase I have the Shepherdbase Instant Download available below anywhere in or outside the U.S.
Click the "Buy Now" Button below to purchase with any major credit card or PayPal to have Shepherdbase shipped to you. Click the "Buy Now" Button below to purchase Shepherdbase Instant Download for ONLY $29.99 (No Shipping Fees Apply) with any major credit card around the world or with PayPal. Return to Home Page from Shepherdbase.